Ovary superior or rarely partly inferior (as in Solandra), sessile to shortly stipitate, mostly 2-locular, sometimes appearing 3–5(or more)-locular by false dissepiments, with generally numerous anatropous ovules. Various sympodial growth patterns occur in Solanaceae and provide useful markers at generic and sectional level. Vegetative growth is initially monopodial and leaves are spirally arranged, but with the onset of flowering, development becomes sympodial. Each inflorescence is developmentally terminal and the stem continuation is initiated in the leaf axil below. Each lateral shoot, with the inflorescence, is a sympodial unit. The units may have one (unifoliate) to several (plurifoliate) nodes. Sometimes the basal part of the unit is suppressed and the first leaf appears paired with the leaf in the axil of which it arose. The leaves are then said to be geminate. Often the lateral shoot that continues stem growth and the peduncle of the inflorescence are concaulescent, so that the inflorescences appear to be lateral on internodes of the sympodium, as is general in African Solanum. Reduction of the inflorescence and dichasial branching, as in Capsicum, Datura and Physalis, causes the flowers to appear at the shoot dichotomies. For further explanation see Whalen in Gentes Herb. 12: 181–184 (1984) and Child & Lester in Hawkes, Lester, Nee & Estrada (eds. ), Solanaceae III: 151–159 (1991). The family comprises six subfamilies according to the latest morphological system by Hunziker, Genera Solanacearum (2001). Only two of these occur in the Flora Zambesiaca area, three of the other relatively small subfamilies occur in the neotropics and southern South America and one in Australia. Molecular evidence, based on chloroplast DNA, is assessed by Olmstead, Sweere, Spangler, Bohs & Palmer in Nee, Symon, Lester & Jessop (eds. ), Solanaceae IV: 111–137 (1999). It is broadly compatible with Hunziker’s system, used here because of the additional morphological and distributional data provided, but they would provisionally subdivide Hunziker’s Celastroideae into three subfamilies: Cestroideae (including Cestrum and Browallia in separate tribes), Petunioideae (Petunia and Brunfelsia) and Nicotianoideae (Nicotiana), names which have not yet been validly published. They would also treat the tribes of subfamily Solanoideae slightly differently, dividing the Solaneae into three tribes: Capsiceae (Capsicum and Lycianthes), Physaleae (Iochroma, Physalis and Withania) and Solaneae (Discopodium and Solanum). A synopsis of subfamilies and tribes is given below, following Hunziker, loc. cit. (2001), with the Solaneae slightly rearranged, but for practical purposes an artificial key is provided to identify the genera. Genera represented only by cultivated plants are treated briefly in alphabetical order after the synopsis (p.3). Many species of Solanaceae are of considerable economic importance, yielding foods and drugs (e.g. anisodamine, anisodine (daturamine), atropine, hyoscine (scopolamine), hyoscyamine and nicotine), used in medicine and for smoking, and also grown as ornamental plants. Knapp, S. (2009). Neotropical Solanaceae. Annual, biennial or perennial herbs, shrubs, trees or vines, often with prickles ; growth sympodial ; wood usually soft. Leaves alternate , spirally arranged, simple or less commonly pinnate ( pinnatifid ), estipulate (in Solanum sometimes with pseudostipules ). Inflorescences determinate, terminal , usually cymose, but sometimes the flowers solitary and axillary . Flowers actinomorphic or zygomorphic , usually 5- merous , perfect or unisexual (rarely), generally showy; calyx synsepalous, usually persistent in fruit , occasionally inflated (Physalis); corolla sympetalous, often zygomorphic , rotate, tubular, funnelform to salverform, white, yellow, red, pink, purple or blue, occasionally mottled or with a pale or darker throat, aestivation plicate, quincuncial or convolute; androecium variously modified, stamens 2-5, epipetalous; filaments distinct, occasionally a short tube at the base, equal or unequal in length; anthers 2-thecate, basi-, dorsi- or ventrifixed, sometimes with an enlarged connective, equal or unequal, dehiscing longitudinally or by apical pores; gynoecium of 1 pistil , 2-carpellate; ovary superior or sometimes hemi-inferior (Trianaea), 2-locular; ovules numerous to solitary (Duckeodendron, Goetzea), anatropous to campylotropous; placentation axile on protruding placentae; nectary present or absent; style single, stigma 2- lobed or capitate . Fruit a drupe (Duckeodendron, Goetzea, Espadaea, Henoonia), capsule or berry , sometimes enclosed by an inflated calyx ; seeds solitary to numerous, if numerous flattened in berries or prismatic in capsules; endosperm copious, fleshy ; embryo straight or bent, often spiral. Chromosome number: x = 9, 10, 12, 24, 36 (polyploidy common in some groups of genera). 75 genera in Neotropics (of 99 total). Distributed and native throughout the Neotropics, from southern USA to Patagonia. Acnistus Schott (2 spp.) - Andes. Athenaea Sendtn. (7 spp.) - Brazil. Aureliana Sendtn. (5 spp.) - Brazil. Benthamiella Speg. (12 spp.) - Andes and Patagonia. Bouchetia Dunal (3 spp.) - Mexico, Argentina. Brachistus Miers (3 spp.) - Mexico and Central America. 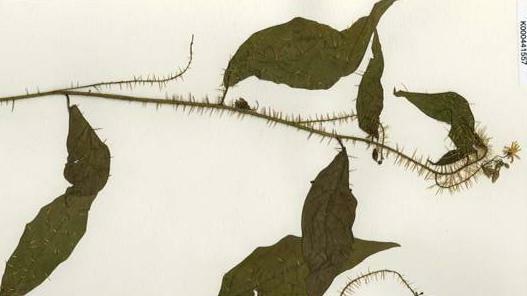 Browallia L. (4 spp.) - Mexico along Andes. Brugmansia Pers. (6 spp.) - Andes. Brunfelsia L. (50 spp.) - Caribbean, Central and South America. Calibrachoa La Llave & Lex. (24 spp.) - Mexico, southern Brazil. 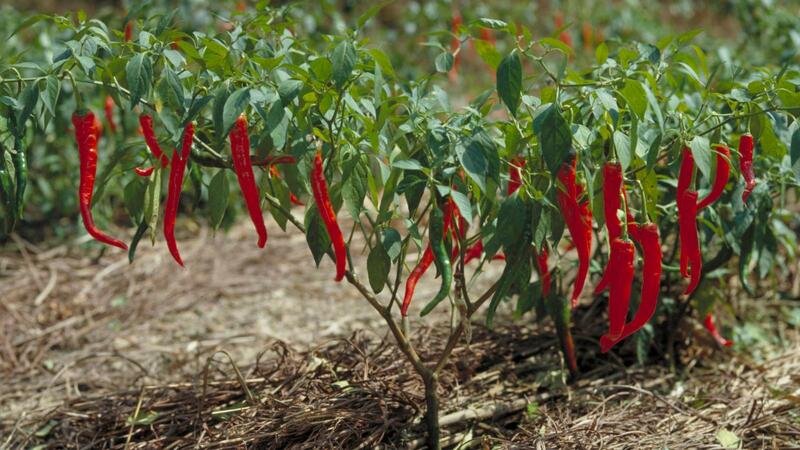 Capsicum L. (25 spp.) - throughout the Neotropics (widely cultivated). Cestrum L. (250 spp.) - Mexico to Argentina. Chamaesaracha (A.Gray) Benth. (10 spp.) - Mexico. Coeloneurum Radkl. (1 sp.) - Caribbean. Combera Sandw. (2 spp.) - Andes and Patagonia. Cuatresia Hunz. (12 spp.) - Central and South America. Darcyanthus Hunz. (1 sp.) - Andes. Datura L. (11 spp.) - Mexico. Deprea Raf. (7 spp.) - Andes. Duckeodendron Kuhlm. (1 sp.) - Amazonia. Dunalia Kunth (5 spp.) - Andes. Dyssochroma Miers (1 sp.) - SE Brazil. Eriolarynx Hunz. (3 spp.) - Andes. Espadaea A.Rich. (1 sp.) - Caribbean. Exodeconus Raf. (6 spp.) - W coast of South America, Galapagos. Fabiana Ruiz & Pav. (15 spp.) - Andes and Patagonia. Goetzea Wydl. (2 spp.) - Caribbean. Grabowskia Schltdl. (4 sppp.) - Andes. Henoonia Griseb. (1 sp.) - Caribbean. Heteranthia Nees & Mart. (1 sp.) - Brazil. Hunzikeria D'Arcy (3 spp.) - Mexico. Jaborosa Juss. (25 spp.) - Argentina. Jaltomata Schltdl. (50 spp.) - throughout the Neotropics. Juanulloa Ruiz & Pav. (10 spp.) - Central and South America. Larnax Miers (12 spp.) - Andes. Latua Phil. (1 sp.) - Chile. Leptoglossis Benth. (7 spp.) - W coast of South America, Argentina. Lochroma Benth. (25 spp.) - Andes. Lycianthes Bitter (c. 150 spp.) - throughout the Neotropics. Lycium L. (c. 50 spp.) - throughout the Neotropics. Margaranthus (1 sp.) - Mexico. Markea A.Rich. (15 spp.) - Central and South America. Melananthus Walp. (6 spp.) - throughout the Neotropics. Merinthopodium Donn.Sm. (3 spp.) - Central and northern South America. Metternichia Mikan (1 sp.) - SE Brazil. Nectouxia Kunth (1 sp.) - Mexico. Nicandra Adans. (1 sp.) - throughout the Neotropics. Nicotiana L. (c. 50 spp.) - throughout the Neotropics. Nierembergia Ruiz & Pav. (20 spp.) - Southern South America. Nolana L. (90 spp.) - W coast of South America, Galapagos. Oryctes S.Watson (1 sp.) - Nevada. Pantacantha Speg. (1 sp.) - Andes and Patagonia. Petunia L. (14 spp.) - SE Brazil and adjacent southern Cone. Phrodus Miers (1 sp.) - Andes. Physalis L. (90 spp.) - throughout the Neotropics. Plowmania Hunz. & Subils (1 sp.) - Guatemala, Mexico. Protoschwenkia Soler. (1 sp.) - Bolivia. Quincula Raf. (1 sp.) - Mexico. Reyesia Gay (2 spp.) - Southern South America (W). Salpichroa Miers (15 spp.) - Andes. Salpiglossis Ruiz & Pav. (2 spp.) - Southern South America (W). Saracha Ruiz & Pav. (2 spp.) - Andes. Schizanthus Ruiz & Pav. (12 spp.) - Southern South America (W). Schultesianthus Hunz. (8 spp.) - Central and South America. Schwenkia L. (25 spp.) - throughout. Sclerophylax Miers (12 spp.) - Southern Andes. Sessea Ruiz & Pav. (5 spp.) - Andes. Solandra Sw. (10 spp.) - Central and South America. Solanum L. (c. 1,000 spp.) - throughout the Neotropics. Streptosolen Miers (1 sp.) - Andes (widely cultivated). Trianaea Planch. & Linden (7 spp.) - South America (Andes). Tzeltalia E. Estrada & M. Martínez (2 spp.) - Mexico and Central America. Vassobia Rusby (2 spp.) - Andes. Vestia Willd. (1 sp.) - Chile. Witheringia L'Hér. (25 spp.) - Mexico and Central America, to South America Andes. The Solanaceae differ from the Convolvulaceae in being primarily shrubs, herbs and trees. When vines the stems do not twine as in the morning glories, but the petioles are twining. Budaestivation is never conduplicate as in the Convolvulaceae. Solanum is by far the largest genus in the family, and is the one most likely to be encountered in the Neotropics; it can be recognized by the combination of 5-parted, more or less (with some subtle exception) regular corolla that is usually spreading, a cone of yellow, erect anthers (poricidal at the tips) that are usually connivent and often tapering and a 5-parted calyx. Plants are either prickly (tapered anthers) or not; shrubby plants lacking prickles often resemble Cestrum vegetatively. Lycianthes has very similar flowers to those of Solanum with a yellow anther cone (anthers poricidal), but the calyx is entire or 10-parted. Physalis is common in drier areas and has the berries enclosed in an inflated calyx; the flowers are yellow with purple maculations. 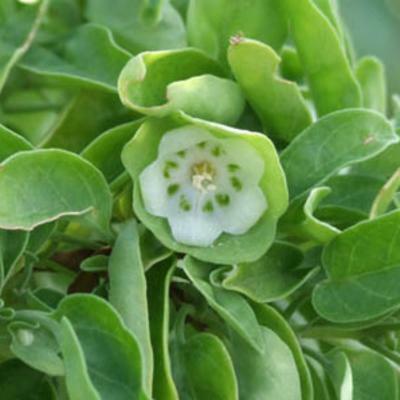 Nolana is confined to the western slopes of the Andes and the deserts, and has blue or white flowers are fruits composed of a number of mericarps. Cestrum has the overall vegetative aspect members of Solanum section Geminata (see Knapp, 2002), but has tubular flowers and berry -like fruits with large prismatic seeds. The fruits are often white. 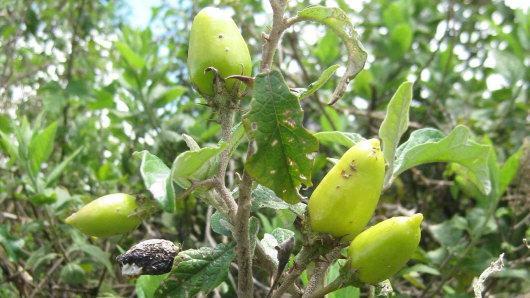 Jaltomata are herbaceous plants with variously tubular corollas, spreading calyces and usually have greenish maculations in the corolla. These plants sometimes have blood-red nectar. Several genera of Solanaceae are large, epiphytic shrubs - Juanulloa has tubular usually orange flowers; Markea has flowers that are white or greenish (except Markea coccinea of the Amazon with red flowers) with large spreading lobes and berries with tiny, rectangular seeds; Trianaea , Merinthopodium and Dyssochroma are all bat-pollinated and have large, tough greenish corollas, often on long, pendant peduncles. Synapomorphies of the family are internal phloem and obliqueflowersymmetry, although the latter is very difficult to see. Other important characters include sympetalous flowers, sympodial growth and cymose inflorescences. Native; a few species are cultivated - these include Solanum melongena L. (eggplant or aubergine) from Asia and Solanum aethiopicum L. (scarlet eggplant) from Africa. Of the 75 genera occurring in the Neotropics, all but Physalis, Nicotiana, Solanum and Lycianthes are endemic (i.e., 71 endemic genera), although many Neotropical species have been introduced elsewhere. Many Neotropical taxa are widely cultivated for food (Capsicum, Solanum), medicine (Nicotiana, Brunfelsia) or as ornamentals (Petunia, Streptosolen). 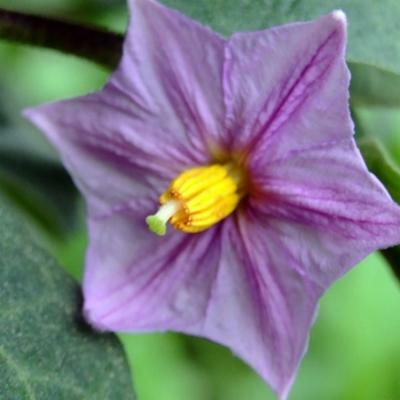 A number of references to works concerning Solanum can be found at Solanaceae Source (www.solanaceaesource.org); this bibliography is being updated to include all Solanaceae genera. Hunziker (2000) is the most recent work to include keys to genera, although he does not recognise many of the genera included here as members of the Solanaceae. The Solanaceae are members of the order Solanales, along with the Convolvulaceae, Sphenocleaceae and Montinaceae. In Cronquist's system the Solanaceae were considered related to the Hydrophyllaceae (now part of the Lamiales) and the Boraginaceae, of uncertain status near the Solanales. Several genera previously excluded from the Solanaceae have been shown to be nested in the monophyletic family (Olmstead et al., 2008 and references therein): these are Nolana (Nolanaceae), Goetzea, Espadaea, Coeloneurum, Henoonia (Goetzeaceae) and Duckeodendron (Duckeodendronaceae). Barboza, G.E. 2005. Revision of Solanum sect. Chamaesarachidium. Nordic Journal Botany. 23(2): 155-168. Benítez de Rojas, C.E. 1974. Los géneros de las Solanaceae en Venezuela. Revista de la Facultad de Agronomía. (Maracay) 7(3): 25-108. Bohs, L. 1990. The systematics of Solanum section Allophyllum. Annals of the Missouri Botanical Garden. 77: 398-409. Bohs, L. 2001. Revision of Solanum section Cyphomandropsis (Solanaceae). Syst. Bot. Monog. 61: 1-85. Bohs, L. 1994. Cyphomandra (Solanaceae). Flora Neotropica 63: 1-175. Contreras-M., A. & D.M. Spooner 1999. Revision of Solanum section Etuberosum. In: M. Nee, D.E. Symon, &and J.P. Jessop (eds). Solanaceae IV: advances in biology and utilization. Pp. 227-245. Royal Botanic Gardens, Kew. Edmonds, J.M. 1977. Taxonomic studies on Solanum section Solanum (Maurella). Botanical Journal of the Linnean Society. 75: 141-178. Hunziker, A.T. 2000. The genera of Solanaceae. Ruggell: A.R.G. Gantner Verlag. Knapp, S. 2002. Floral diversity and evolution in the Solanaceae. In Developmental genetics and plant evolution (eds. Q.C.B. Cronk, R.M. Bateman & J.A. Hawkins) pp. 267-297. London: Taylor & Francis. Knapp, S. 2002. Solanum section Geminata (G. Don) Walpers (Solanaceae). Flora Neotropica 84: 1-405. Knapp, S. 2008. A revision of the Solanumhavanense species group (section Geminata (G. Don) Walp. 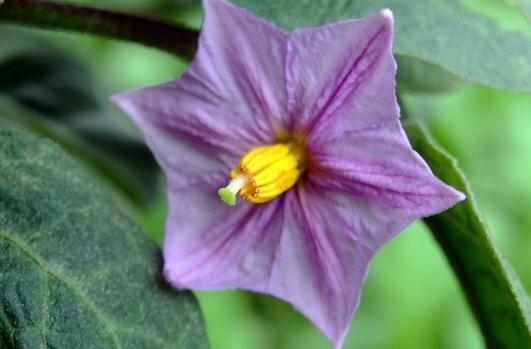 pro parte) and new taxonomic additions to the Geminata clade (Solanum: Solanaceae). Annals of the Missouri Botanical Garden 95(3): 405-458. Olmstead, R.G., Bohs, L., Migid, H.A., Santiago-Valentin, E., García, V.F. & Collier, S.M. 2008. A molecular phylogeny of the Solanaceae. Taxon 57, 1159-1181. Peralta, I.E., D.M. Spooner & S. Knapp. 2008. Taxonomy of wild tomatoes and their relatives (Solanum sections Lycopersicoides, Juglandifolia, Lycopersicon; Solanaceae). Systematic Botany Monographs 84: 1-186. Plowman, T.C. (ed. S. Knapp & J.R. Press). 1998. A revision of the South American species of Brunfelsia (Solanaceae). Fieldiana, Botany. n.s. 39, 1-135. Santiago-Valentin, E. & Olmstead, R.G. 2003. Phylogenetics of the Antillean Goetzeoideae (Solanaceae) and their relationships within the Solanaceae based on chloroplast and ITS DNA sequence data. Systematic. Botany 28, 452-460. Smith, S.D. & Baum, D.A. 2006. Phylogenetics of the florally diverse Andean clade Iochrominae (Solanaceae). American Journal of Botany. J. Bot. 93, 1140-1153. Spooner, D.M., R.G. van den Berg, A. Rodríguez, J. Bamberg, R.J. Hijmans, & S.I. Lara-Cabrera 2004. 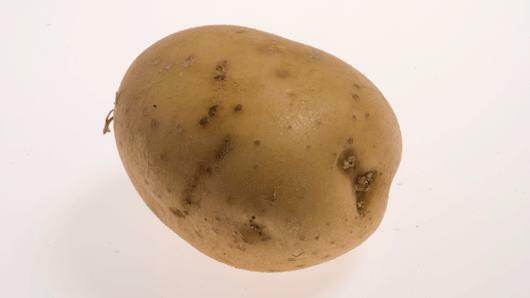 Wild potatoes (Solanum section Petota; Solanaceae) of North and Central America. Syst. Bot. Monog. 68: 1-209 + 9 plates. Stehmann, J.R., Lorenz-Lemke, A.P., Freitas, L.B. & Semir, J. 2009. The genus Petunia. In: T. Gerats & J. Strommer (eds.). Petunia: evolutionary, developmental and physiological genetics, pp. 1-28. New York: Springer Sciene+Business Media. Whalen, M.D. 1980. Conspectus of Solanum subgenus Leptostemonum. 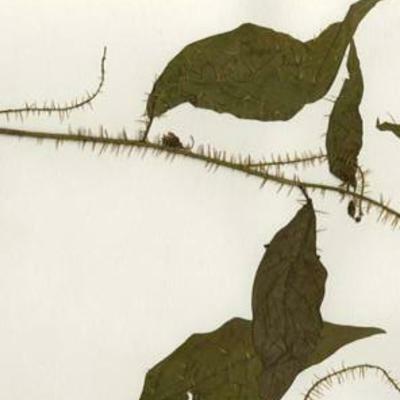 Gentes Herbarium 12: 179-282. 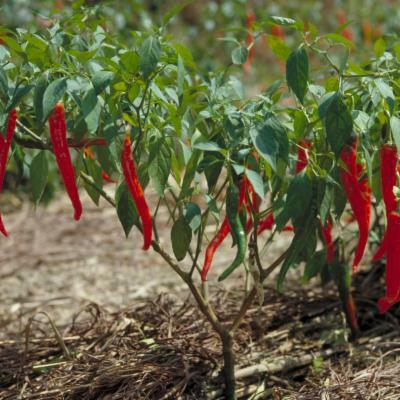 Annual or perennial erect or climbing herbs, shrubs or small trees with sympodial growth. Seeds rounded or flat and winged, usually numerous; embryo curved, annular or straight and embedded in copious endosperm; cotyledons semiterete to linear. The family has variously been subdivided into two, three, five (cf. D’Arcy, 1991) or six (Hunziker 2001) subfamilies. However, Olmstead et al.’s (1999) molecular analysis suggested that the subfamily Cestroideae was composed of six smaller monophyletic subfamilies, resulting in the recognition of seven solanaceous subfamilies. The family synopsis given below broadly follows D’Arcy’s infrafamilial classification of subfamilies and tribes with some the modifications suggested by Olmstead et al.’s (1999) molecular results. Olmstead & Bohs (2007) and Olmstead et al. in Taxon 57: 1159–1181 (2008) proposed a formal classification, which has not been adopted here, though it broadly agrees with many of the categories used. The supra-generic authorities have been taken from the Index Nominum Supragenericorum Plantarum Vascularium website compiled by James L. Reveal. These often differ from those cited by other authors, particularly by Hunziker (2001). The generic authorities and type species have been taken and verified from the Index Nominum Genericorum by Farr et al. (Regnum Veg. 100, 101 & 102 (1979) and from Names in Current Use for Extant Plant Genera by Greuter et al. (NCU–3, Regnum Veg. 129 (1993)). An artificial key to all genera represented in the FTEA region is given, even if they are only represented by cultivated plants. Many authors have reviewed and revised the classification of the Solanaceae since it was first described by de Jussieu in 1789. D’Arcy reviewed the historical treatments of the family [in Solanaceae Newsletter 2: 8–15 (1975) & in Hawkes et al. (eds), The Biology and Taxonomy of the Solanaceae: 3–47 (1979)] before revising the infrafamilial classification (1991). Later, Hunziker (Genera of Solanaceae (2001)) comprehensively surveyed the family using morphological, karyological and phytochemical data, and revised and collated its infrafamilial classification before treating and illustrating each category down to generic level. Other authors have tackled the infrageneric classification of a number of genera, with Solanum itself attracting the most reviews, including that of Nee for the New World Taxa (in Nee et al. (eds), Solanaceae IV: 285–333 (1999)) and Child & Lester (in van den Berg et al. (eds), Solanaceae V: 39–60 (2001)). A number of authors have also addressed its phylogeny such as Olmstead et al. (in Nee et al. (eds) Solanaceae IV: 111–137 (1999)) who used chloroplast DNA sequencing to generate a new infrafamilial classification. Molecular systematic research on the Solanaceae from 1982–2006 was recently summarised by Olmstead & Bohs (in Spooner et al. (eds), Solanaceae VI: 255–268 (2007)). They estimated that over 90 Solanaceae species are among the most important serving mankind. 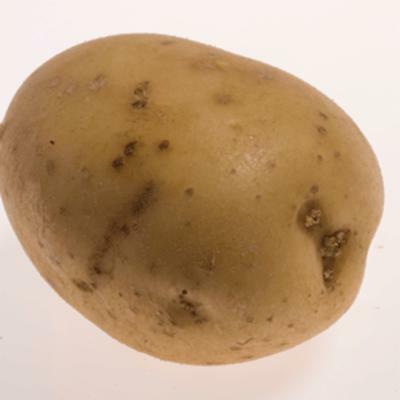 They include those of considerable economic importance as essential vegetables and fruits (e.g. potatoes, aubergines, tomatoes and peppers etc. ); as ornamental plants (e.g. Petunia, Schizanthus and Brugmansia); as drug sources (e.g. anisodamine, anisodine, atropine, scopolamine, hyoscyamine and nicotine); as medicines – particularly by rural communities – and for smoking. of species had been analysed within that period, with many of the genera having been well-sampled. 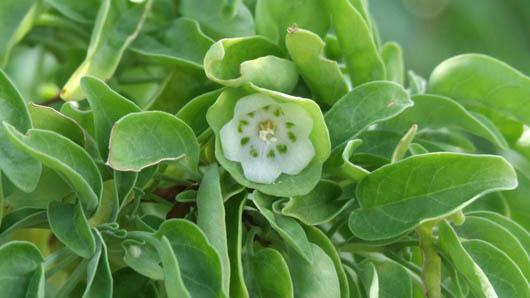 Systematically, the family is close to the Boraginaceae, Convolvulaceae, Scrophulariaceae and Verbenaceae (cf. Gonçalves in F.Z. 8(4): 1 (2005)), with molecular data derived from cpDNA placing it in a sister group with the Convolvulaceae (Olmstead et al. in Ann. Missouri Bot. Gard. 80: 700–722 (1993)). of genera and 37 Species belonging to the genus Solanum exhibit the greatest morphological diversity and taxonomic complexity in Africa as they do elsewhere in the world. 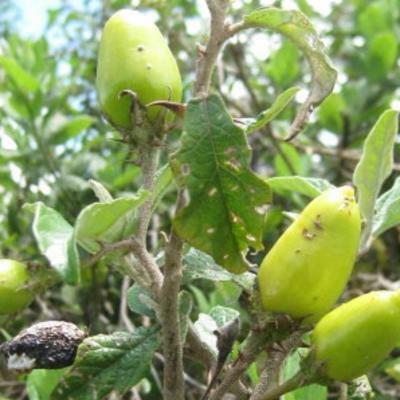 Over 70 Solanum species occur in the FTEA region; some of these are native to the floral area, others are endemic to more widespread areas within Africa, while some have been introduced, usually from the Neotropics but also from Eurasia. About 96 genera with some 2300 species, cosmopolitan with the exception of polar regions. Greatest species concentration and diversity occurs in Central and South America, particularly in the Andean region. Within Africa, the family is relatively poorly represented; only Discopodium, Lycium, Solanum and Withania contain species which are endemic both to this region and to Africa as a whole. Of these only Discopodium and Withania are considered to be truly native to tropical Africa (cf. D’Arcy in Hawkes et al. (eds), Solanaceae III: 75–137 (1991)). Nevertheless, it is probable that the FTEA region contains the largest number of solanaceous species found in Africa. Many genera are only represented by one to a few species, which, with the exception of the four genera listed above, were probably introduced either deliberately for their economic, gastronomic, medicinal or ornamental value, or accidentally, especially during the intensive travel and trading that followed the discovery of the Americas by the Europeans. Many of these species originated from the Neotropics, particularly from Central and South America and have successfully established themselves as adventive or casual taxa throughout the FTEA region – often as escapes from cultivation.